While the purpose of the mirror remains the same, it has been re-invented in several cutting-edge ways, which makes them more than a functional accessory. 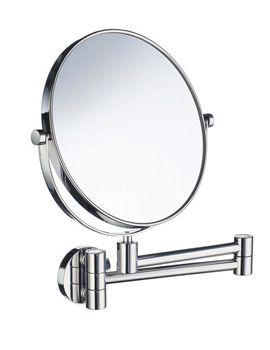 The magnifying mirror has been around awhile, but modern touches have made them even more versatile. Many models are now available with suction cups, making them easy to move around to where you need them, or even take along when you travel. Some are also magnetic, which is handy in the bathroom with its many metal surfaces. The wall-mounted mirror with its flexible arm swivels to reveal a true image and a "direct sunlight" image, to give you a more accurate reflection of your appearance in outdoor light. 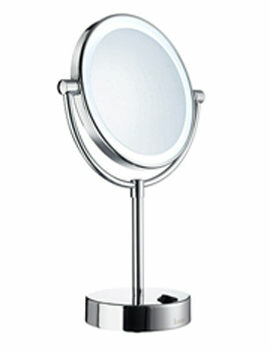 Magnifying mirrors of 3x and more magnification can be purchased online from QS Supplies. They instantly glam up the room and are specially used for make-up and grooming. These products listed below allow you to see your reflection clearly and closely for a clean shave or a flawlessly finished make-up. 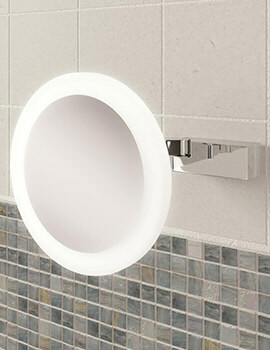 These innovative new designs are taking the functional mirror from a necessity to a style statement.